A crazy balloon popping frenzy! It’s crazy! It’s Crazy Bloons! 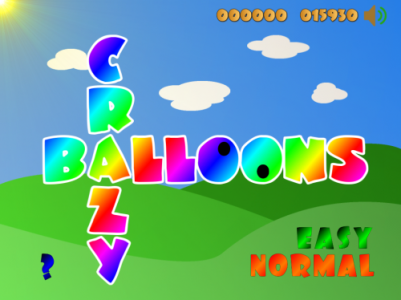 Keep popping balloons as long as you can in this crazy, crazy game where the only thing to do is pop balloons! Do you love popping balloons? Yes? 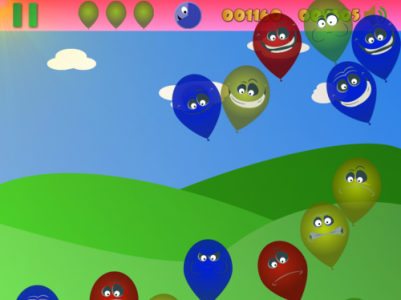 Crazy Bloon’s is a fun way to enjoy popping as many as you can. 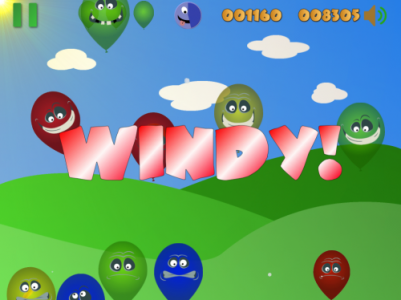 Pop them before they go off the screen, and maximise your score! Balloons rise to the top of the screen. The later you pop them, the higher your score. The more you pop, the higher your score. Watch the faces of the balloons change as they rise. They want to get away without being popped. Careful not to pop the wrong colours when one colour is highlighted at the top of the screen, or you’ll lose a life. 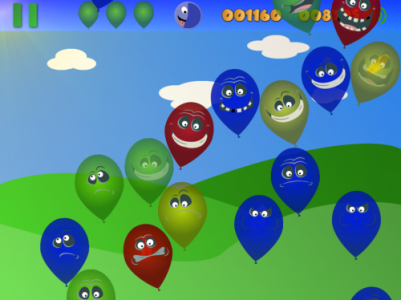 The game can be extended by keeping the number of balloons low. You start with 2 minutes to play, but by fast an furious popping (mind those colour changes!) you can keep the game going forever. Some balloons have coins, don’t miss those; more coins = more points! Version 1.3, just released adds new speeds of play for the adventurous. It also adds a new game feature, the “Mine”. Every time you earn enough points, you get another mine you can use. Tapping on the mine button (when it shows up) places a new mine on the screen, swirling around, waiting for you to place it. The next tap of the screen will move that mine to where you’ve tapped. 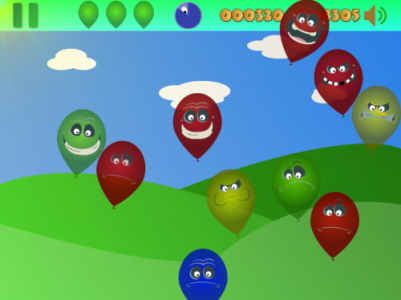 The first balloon to hit the mine will explode, and take every other balloon of the same colour with it! This is super for those times when you’re only allowed to pop balloons of one colour and the mine is allowed to pop any colour!